We offer the option to rent our screens, studio space, and post-production facilities. 40 seats, Christie CP2215 D-Cinema 2K projector Both of our screens are 2.37 x 4.41m in size and are fitted with Dolby Digital 5.1 sound. We can project from DCP, Blu-ray, and various file formats. The cinema’s acoustic concept was conceived and developed by 21db. Our cinema seats were kindly donated by Adria Filmtheater, Berlin Steglitz. 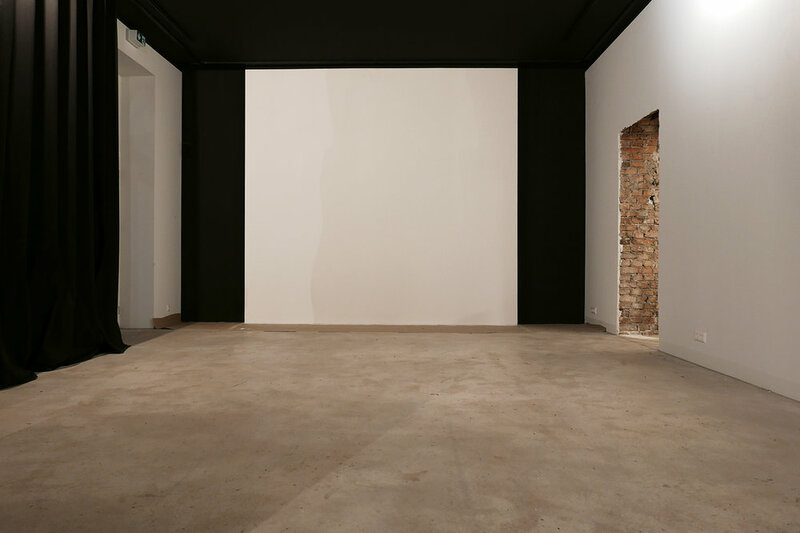 Versatile space that can be used as a back box, gallery space, cinema screen or for events such as readings, concerts and festivities. Seating can be arranged as desired, with 50+ seats. Depending on the type of booking, rates include: projectionist, technical assistance, theatre manager and bar staff. We organise catering upon request.